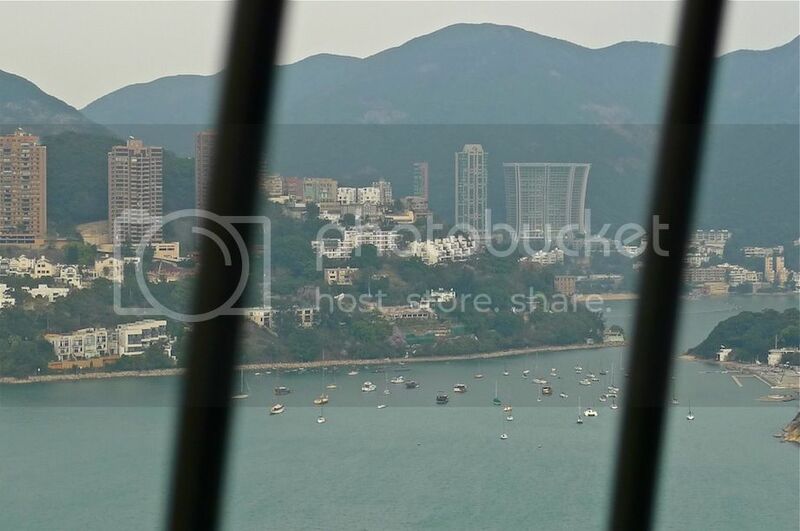 After spending half a day visiting giant pandas and other Asian animals at The Waterfront of Ocean Park Hong Kong, my friend and I decided it's time to go up to The Summit. 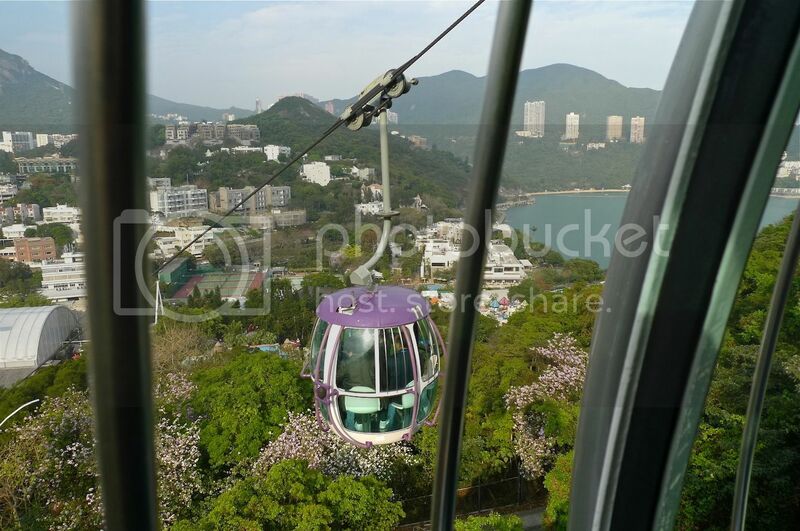 We decided it was best to sit the cable car on the way up and then take the Ocean Express Train on the way down. 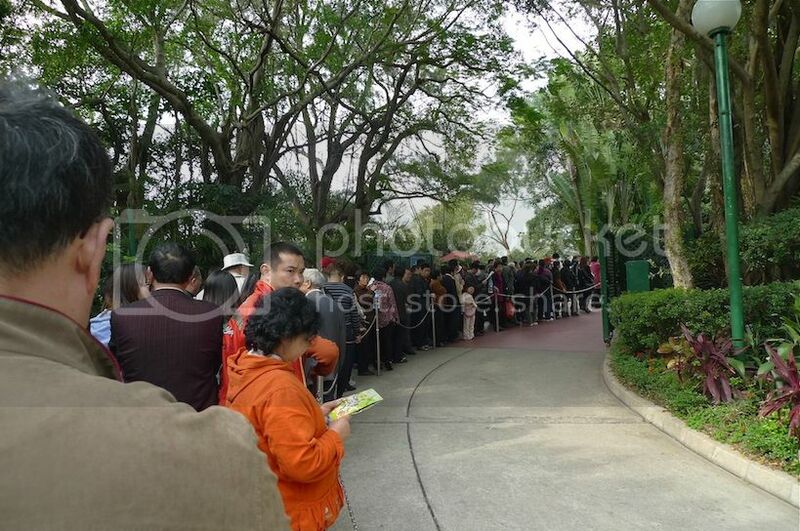 But before we even reached the cable car station, we were horrified to see a long queue ahead of us! 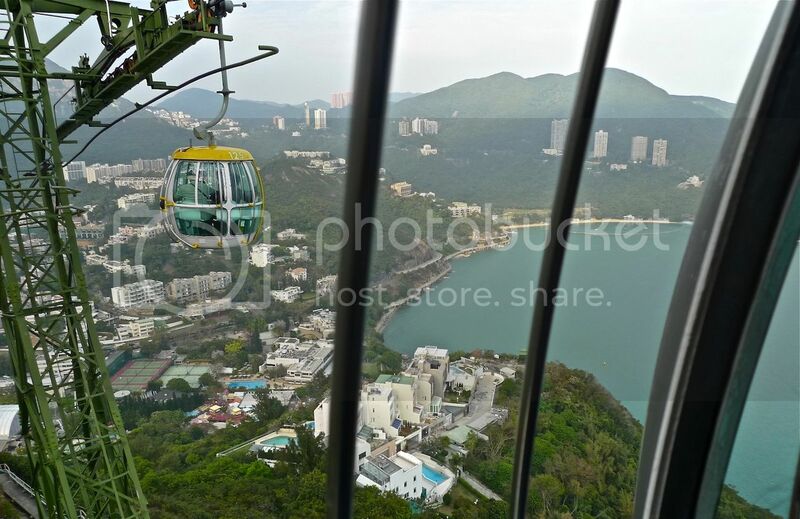 I hate having to queue but I just had to get on that cable car as I wanted to see the views from up there. We ended up queuing for about one hour before reaching the cable car station. 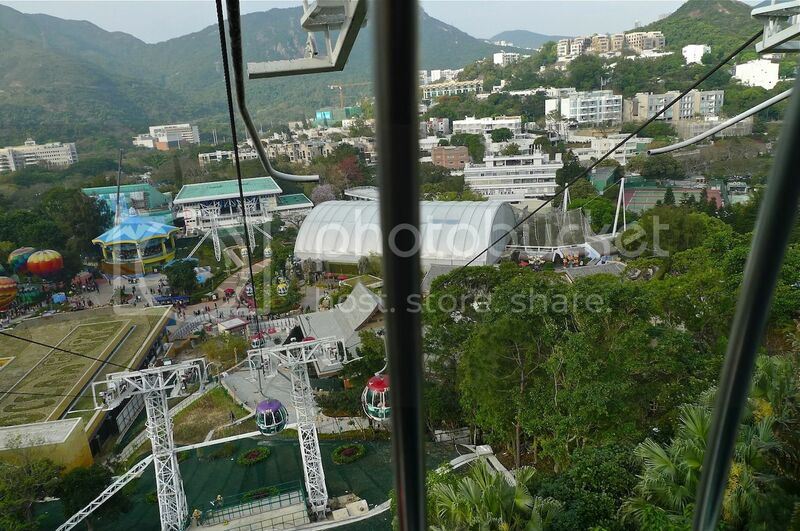 Soon, we were inside the cable car. 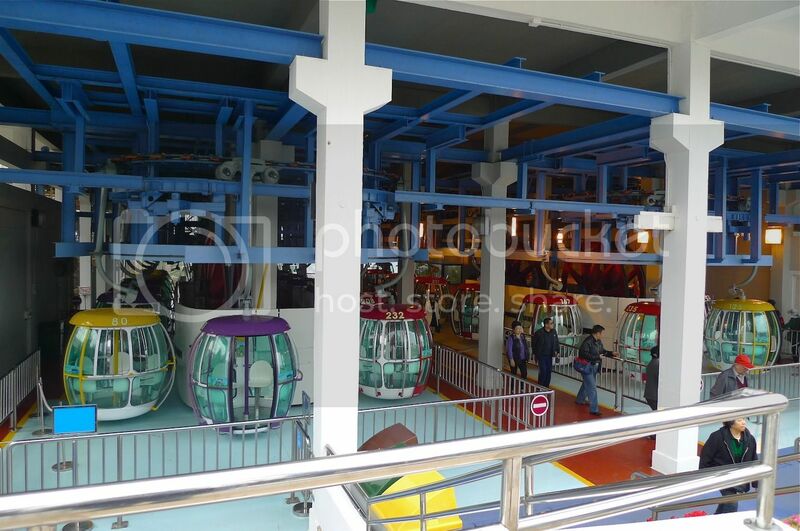 There were only 6 seats inside, so each cable car could fit up to 6 people at any one time. Despite suffering from a fear of heights, I did not feel any fear at all. Perhaps I was too busy admiring the view of The Waterfront below. 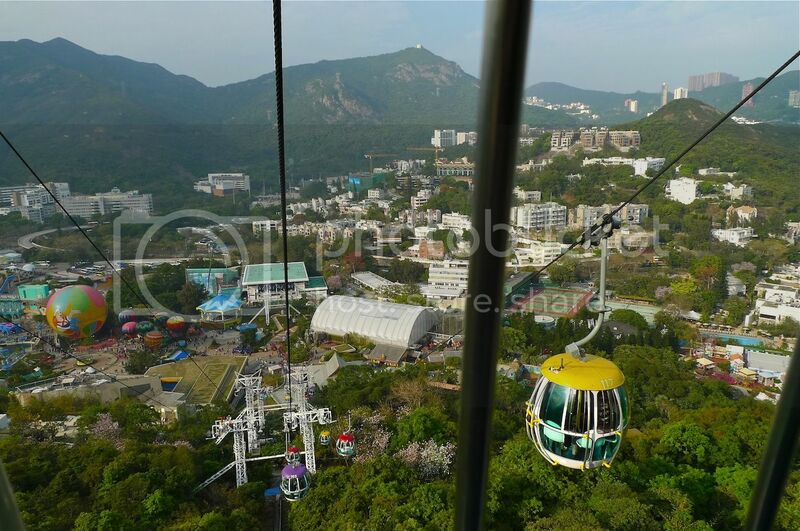 From up here, I could easily identify all the major attractions like the Grand Aquarium, Giant Panda Habitat, Amazing Asian Animals and SkyFair. 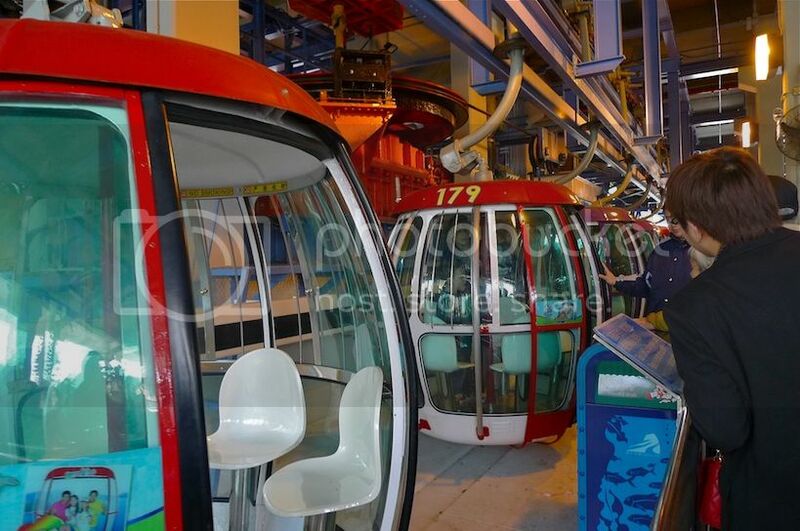 I like that the cable cars came in different colours. They were nice to look at. I like this purple one! Halfway during the ride, the ocean came into view. 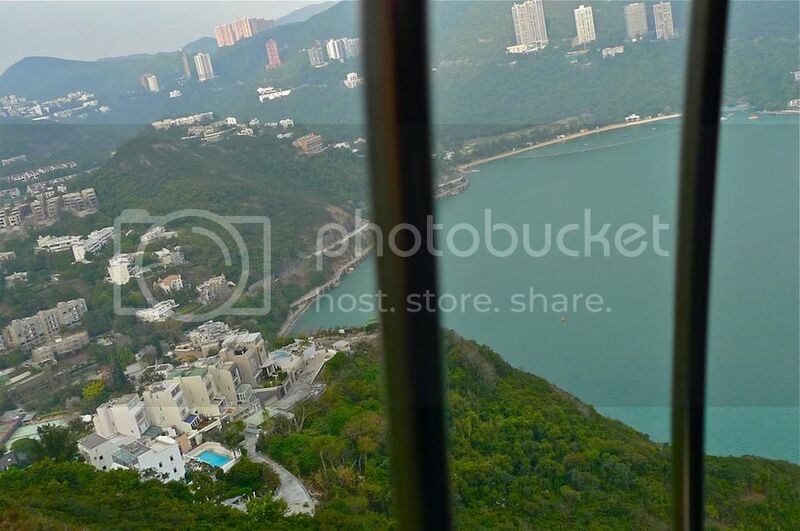 The panoramic view of the South China Sea from up here was awesome. Soon, we passed the mountain separating The Waterfront and The Summit. I could see the roller coaster ride in the distance although I could not catch it on my camera. I have no more photos to show after this except another shot of the sea with the surrounding islands. 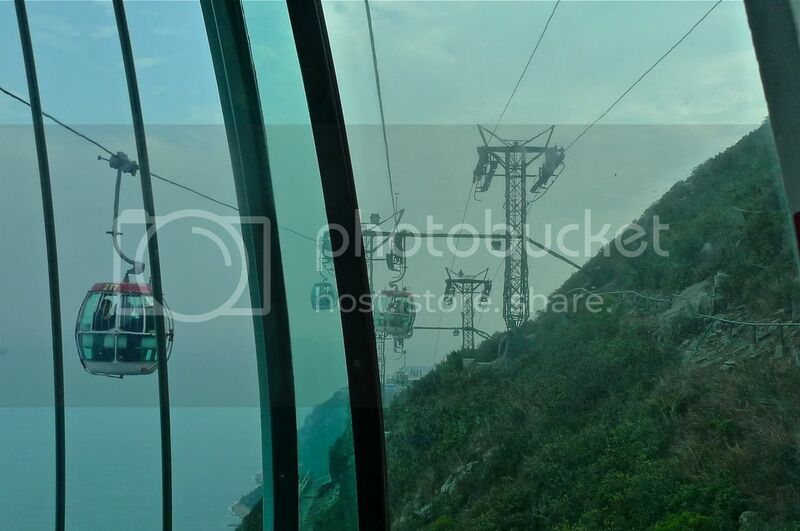 It took about 15 minutes for the 1.4 km journey to reach The Summit cable car station. As soon as we alighted from our cable car, we headed towards the next attraction in Ocean Park - The Sea Jelly Spectacular.